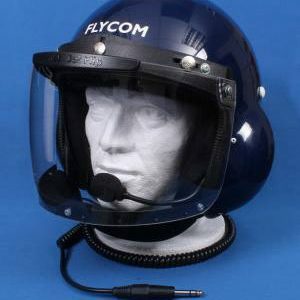 Flycom Avionics is a world renowned manufacturer of passive communication systems for all open cockpit and closed cockpit aircraft.  Autogyro, Paramotor (powered parachute) and General Aviation (GA) Aircraft. 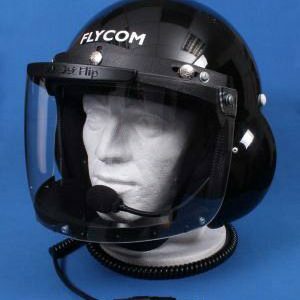 With direct sales to customers in over 50 countries, pilots are continually changing to Flycom. 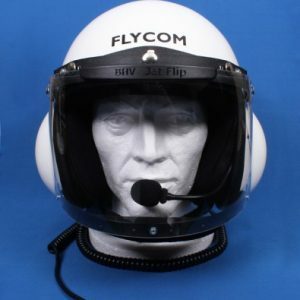 Flycom helmets are the superior avionics choice for all open and closed cockpit aircraft pilots. The FH-1V helmet is world renowned for its attractive fully integrated design and its passive communication system. This provides the pilot and his passenger with quiet and clear communication. Flycom Avionics was founded in 1991 by Dave Gray, a highly experienced engineer and former microlight flying instructor. Dissatisfied with the performance of existing communication systems available at the time, Dave utilised his knowledge of product design and acoustics coupled with the practical experience gained from over 20 years of microlight flying and instruction. 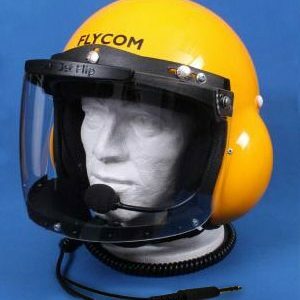 The result was the FH-1V flying helmet, a design innovation which remains the original integrated flying helmet. 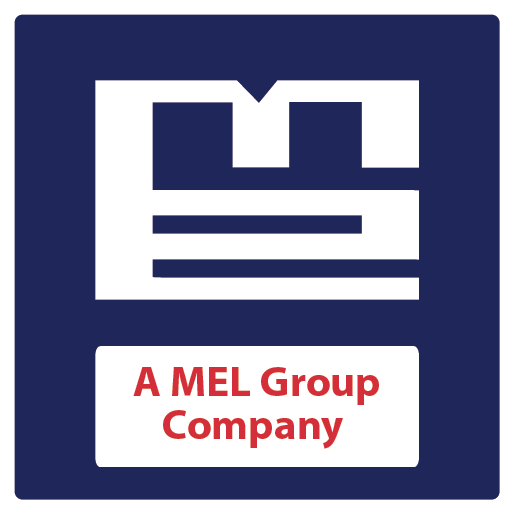 The MEL Group is committed to providing products and services that afford effective safety, in a manner to which the requirements of our customers and the applicable regulatory authorities conform. Flycom products are all built to order and are hand crafted at The Mel Group Headquarters in the United Kingdom. The skills and knowledge needed to produce the Flycom brand have been passed down from generation to generation to our Flycom team. 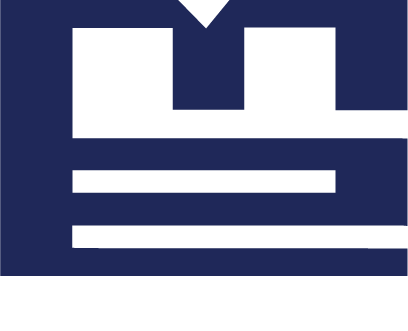 Flycom is a MEL Group company within its aerospace division and is supported by cutting edge technology and people on a daily basis, looking to always improve all aspects of Flycom products. 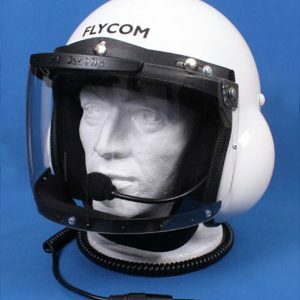 Flycom Helmets provide crystal clear communications at all times and are leaders in the market. Well Dave..I don't know what to say except your helmet is EXCEPTIONAL! To say I am impressed is an understatement. The audio is just fantastic, the fit is very comfortable and finish quality is top notch! Thanks for the quick shipping, and helping make flying less stressful, more enjoyable and safer!.. Anyone not flying with one of these is missing out. Dave, I recently purchased a set of Flycoms with the Icom radio. I rarely write a manufacturer about their product but I had to in this case. The Flycom helmet is the most comfortable I have ever worn. I've tried RAD, Comtronics, Lynx and others and yours is by far the most comfortable and functional. I'm glad Larry Mednick of Tampa Aerosports suggested your Helmet and setup. Thanks again and have a great day and fly safe. 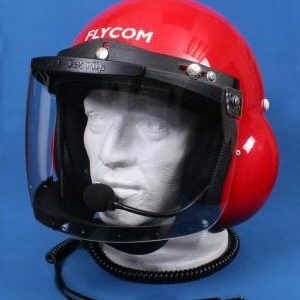 The photo was my first flight with your Flycom helmet today. I love your helmet, it is much quieter than Lynx helmet I used. Thanks a lot. Merry Christmas to you and your family.